Mapúa University, in partnership with the National Research Council of the Philippines Research Foundation, Inc. (NRCP-RFI), hosted a forum on the issue of federalism last February 26. 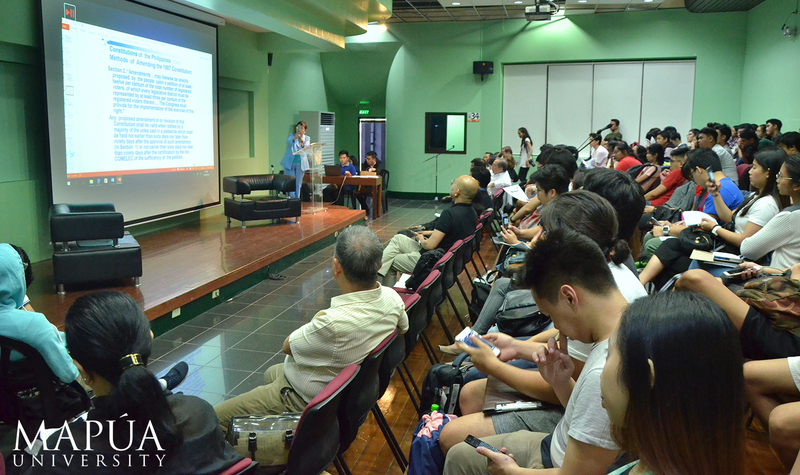 “Know the issue on Federalism” was attended by Dr. Olivia C. Caoili, NCRP-RFI Vice President and the Research Director of the University of the East, and Dr. Alex B. Brillantes, Jr., a professor of the University of the Philippines- National College of Public Administration and Governance as speakers. The opening remarks and objectives of the forum was delivered by Dr. Lydia G. Tansinsin, NRCP-RFI president. Also in the event were Mapúa president Dr. Reynaldo B. Vea along with students and professors of the university.